Are Millennials indifferent to pay or is it of the utmost importance? IRCG’s Mike Emerson has come to realize it’s both. Over the past couple of years a trend has emerged in the conversations he’s had with clients. More and more of our firm’s clients report they are facing challenges recruiting field sales representatives not because of the total pay being offered, but because the fixed portion of the package they are offering is too low. It turns out these conversations were symptomatic and that we are at a generational inflection point. 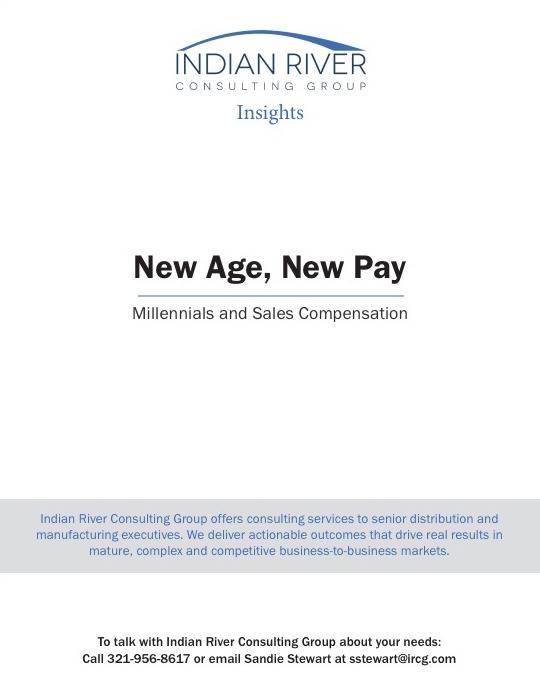 Read this whitepaper to learn about how to maintain the tried-and-true motivational compensation upside while also providing the predictable monthly income that Millennials desire.